An aerial view of the Ripple Rock project, looking towards Vancouver Island. Menzies Bay in the background. 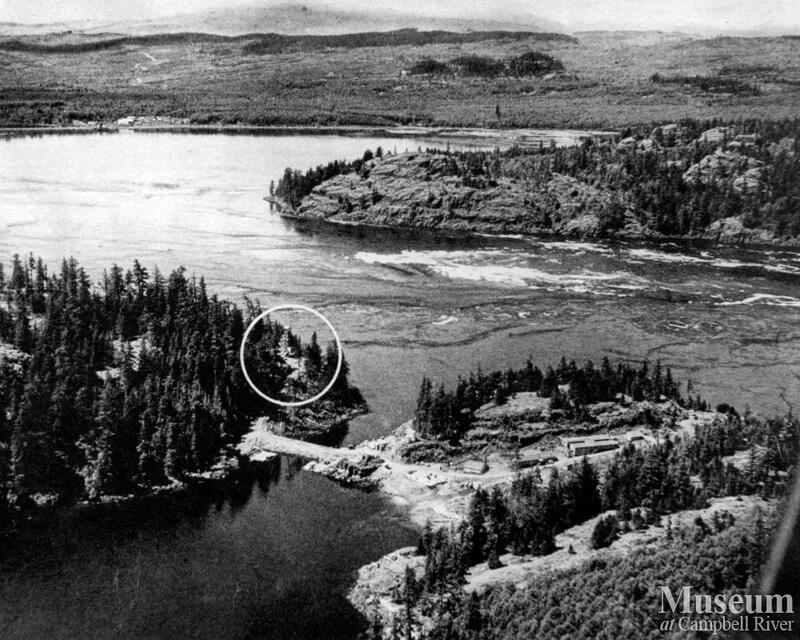 The circled area indicates where the mouth of the tunnel was located on Maude Island. Also visible is the causeway to the camp on Quadra Island (at right).